April is National Pickleball Month, and with many areas across the country enjoying milder weather this month: It’s the perfect time to get outside and try your hand at pickleball! Three pals, a missing shuttlecock, and a little improvised creativity are what sparked the creation of one of today’s fastest growing sports for folks of all ages and skill levels. The pickleball paddle is one of the most important pieces of equipment in your entire game. It can have a pretty big impact on how well you play and how your body feels after a game. The more popular pickleball becomes, the more paddles there are to choose from. So how can you know which paddle is right for you? The three main things to look at are weight, grip size, and materials. Weight is one of—if not the—most important factors when choosing a pickleball paddle. In fact, you can put weight in the same category as "feel." How does the paddle feel when you pick it up? How does it feel when you have been holding it through an entire game? How does it feel when you swing it? 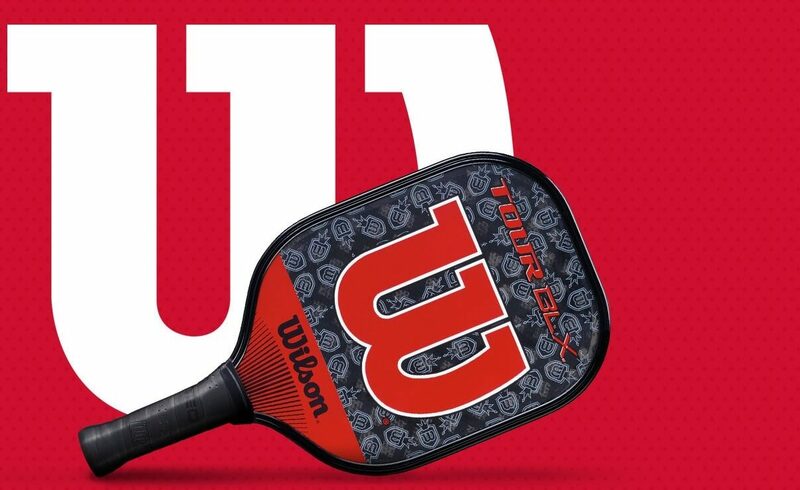 Pickleball paddles range anywhere from 6 ounces to 14 ounces, and the weight will affect power and control. A lighter paddle gives you more control but less drive. Conversely, a heavier paddle gives you less control but more power and drive. Perhaps most importantly, a heavier paddle can cause elbow strain and fatigue in your arm. You may want to start with a paddle that is not too heavy until you build up more strength. However, it is a bit of a Catch-22: Less arm strength means you will need more help driving the ball with any real power. Therefore, consider selecting a mid-weight paddle between 7 ounces and 8.5 ounces. You may still be tempted to go light, but consider this: The lighter the paddle the more energy and swing you will need to hit the ball with force, which can inflame an injury or cause more pain. The next factor to look at is grip size. Choose a grip size that fits your hand. A paddle with a grip that is too large can slip in your hand and cause injuries. Smaller grips give you more wrist action, which in turn leads to more control and spin. A larger grip can provide more stability. But how do you know which grip size is right for you? If you are under 5'2": you need a 4" grip. If you are 5'3" to 5'8": use a 4 ¼" grip. And 5' 9" or taller: use a 4 ½" grip. If possible, try a variety of paddles. If you aren't sure between two sizes, it's safer to go with the smaller size. If you decide later it's too small, you can easily add some overgrip tape to make it larger. If you have access to some paddles to try grip each paddle with your normal grip, slide the index finger of your other hand between your fingertips and the heel of your gripping hand. If the paddle is the right size your finger will fit snugly without you have to move your fingers. Pickleball paddles are made out of three main materials: wood, composite, or graphite. Wood paddles are the heaviest paddles, and they are also the least expensive. New players or players who are unsure of investing in equipment may be tempted to purchase a wood paddle. This is fine; however, keep the weight issue in mind. Composite paddles are a happy medium. They are in the mid-range of price, yet they come in a variety of weights and sizes. Graphite paddles are the most expensive; however, they can be light and powerful. The best way to choose a paddle is to try a few and see what feels right and helps your game the most. If this isn't an option, go with a mid-weight paddle in the right grip size that's made of a composite material. You will get a great paddle and discover what to look for in the future!